Background: The Tribeca Film Festival has evolved beyond films into a celebration of storytelling in all its various forms. Regardless of the actual medium, from the most immersive mixed reality experience to paint on a wall, the simple human truth lies in our love of great storytelling. We wanted to remind people that great storytelling is timeless, and at Tribeca, you can experience it like never before. With the help of Blacklist, Golden Wolf and Butter Music & Sound, we also created a film trailer where these hieroglyphics came to life. Reasoning: Sometimes, you have to look back to move forward and avoid getting caught up in the latest trend or technique. Because great storytelling isn’t about the medium, it’s about the story and how it’s told. Great storytelling is timeless and will always move us. 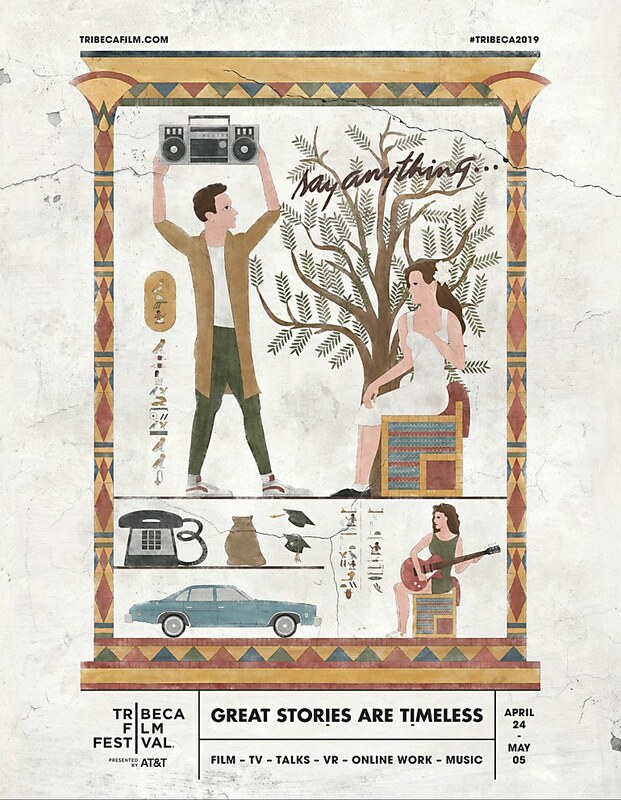 So, retelling a story like the Simpsons, Apocalypse Now, Say Anything and This is Spinal Tap in the ancient artform of hieroglyphics seemed like a cool way to show this. Challenges: Timing was the most challenging aspect of pulling this off. This was a project that demanded craft, and craft takes time. Visual influences: Throughout the entire process, we were focused on authenticity. 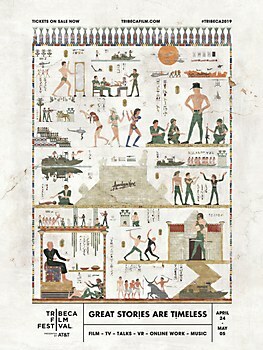 This made partnering with an Egyptologist crucial. We wanted the story flow and aesthetic to be accurate. We researched character styles, colors used during that time, border elements and even how to represent death and passing into the afterlife. Anything new: The real fun of this project was realizing that you get to work with such rich content. The fanfare and little details we were able to play with from each of these tv shows and films felt endless. And being able to recreate them in this ancient artform made for a really cool learning process. Every time you look at them, you discover a new surprise. 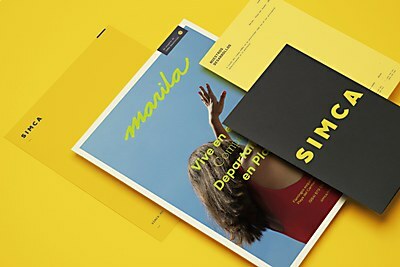 Vibrant yellows mesh with unique isotypes in the identity for this Mexico–based real estate developer. 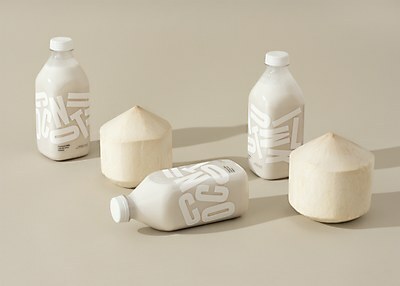 The translucent packaging for Grinning Face Coconut Milk typographically encourages the consumer to shake it. 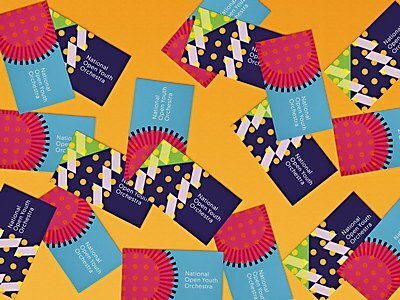 Energetic colors harmonize with youthful patterns in the expressive identity for the National Open Youth Orchestra.